6th Feb, 2015Why I refuse to make jam. And why fruit spread sounds less when it is actually more……. Let me start this with a link to the (click on FDA to read) FDA. It is a long and rather dry read, but I can try to shed some light. So, I don’t speak legaleeze but I try to speak common sense. 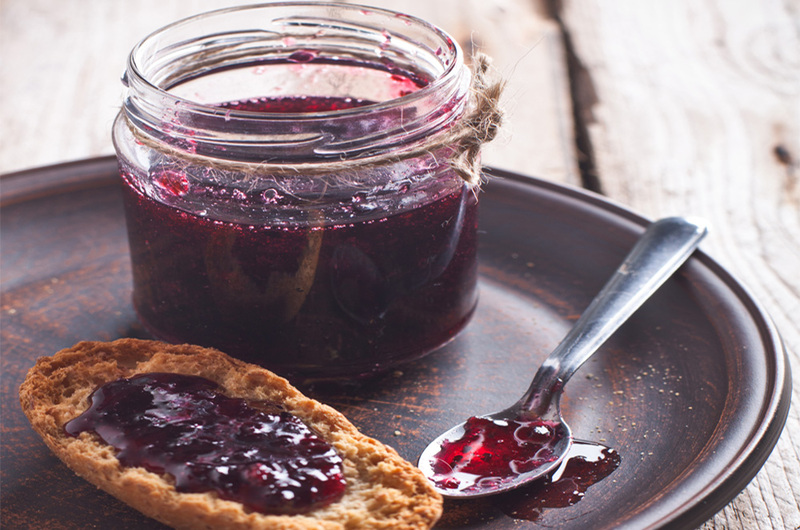 Basically it says, that Jams need to be made with at least 50% sugar. Ok, that is quite a lot for my taste but fine, it also allows for apple juice (or its concentrate) to be added which adds to the fruit content. So from your anyway limited amount of target fruit (the fruit that is named on the glass) please deduct the apple juice concentrate and add some water, as you need the dilute the concentrate. Add some nice chemicals of and of course some of the target fruits, but not to much please, the picture on the glass is enough. Hmpf (means wth in my language). Here is how we make our fruitspreads. We take at a minimum 65% of the target fruit, add some lemon (or lime) juice, add between 20 (Mango Lime) and 35% (red currant) sugar. We add some pectin (natural product made from apple and/or lime peels) and that is it. Yes, I am aware when I add all that up, we have at least more then 100% but some water steams away while cooking, we dont replace that, but part of the replacement is the pectin. Again, and as always, will not tell you our products are better then others, or even the best. Visit us, and we will let you try and you tell us what you think. It will be free and no strings attached, promised! With a little delay, we have some news!